We get most of our Vitamin D from sunlight, this is why it’s often referred to as ‘The Sunshine Vitamin.' In the UK however we don’t get enough exposure to sunlight especially during the Autumn and Winter months. Therefore the government has recommended that everyone should consider taking a Vitamin D supplement at these times of the year. These Raspberry flavoured chewable Vitamin D tablets provide an impressive 10ug of Vitamin D per tablet. This is the amount that the government recommends everyone should consider taking during Autumn and Winter. 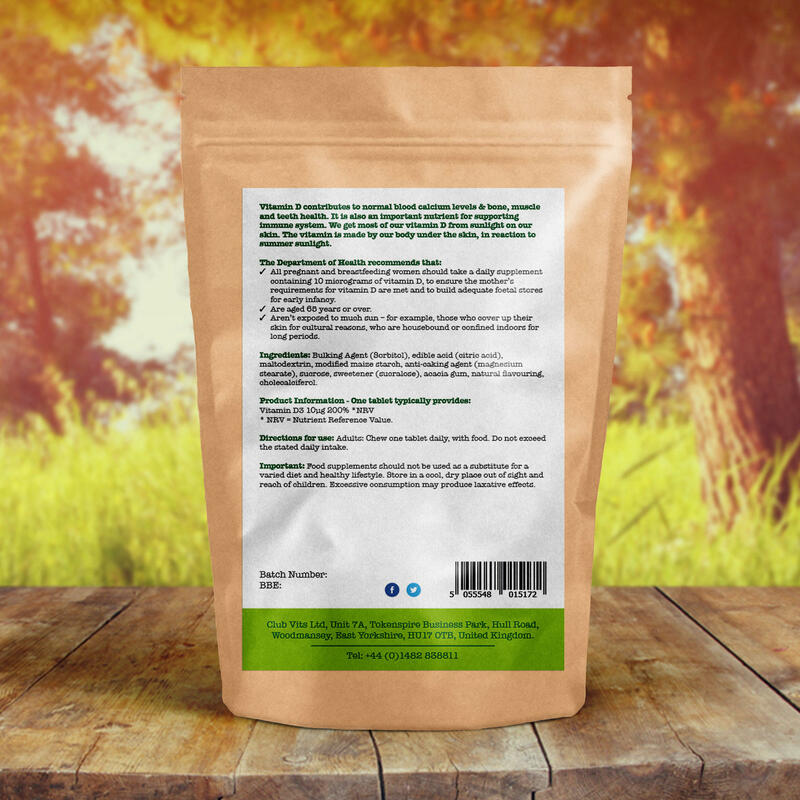 The Vitamin D in this product is in the form of Vitamin D3 (Cholecalciferol) which is found naturally within only a few foods such as oily fish and fortified products such as cereals. 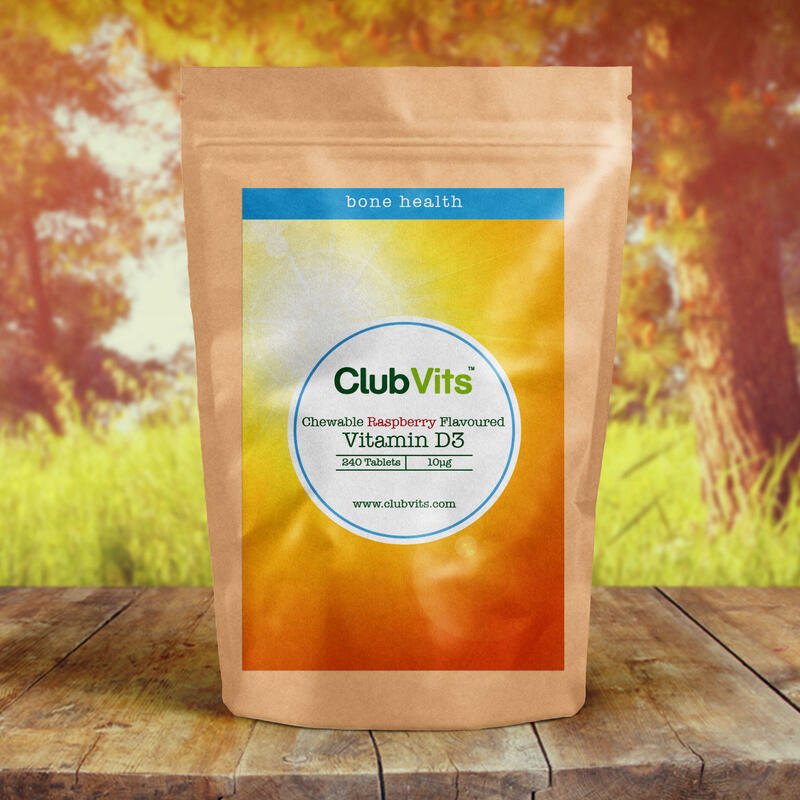 If you don't spend much time outdoors and don't get much sun exposure you may want to consider taking our higher strength Vitamin D tablets. Adults: Chew one tablet daily, with food. Do not exceed the stated daily intake. lifestyle. Store in a cool, dry place out of sight and reach of children. Excessive consumption may produce laxative effects.